High Wing, All-Metal, Continental? No, not Cessna. The Patriot 150 didn't show at Oshkosh but will make its debut at the January 2008 Sebring Expo where I expect to fly the new model. AMD says, "Zodiac is a sport car but Patriot is so traditional, training will take about 9 minutes." Check Patriot performance specs. "We thank Cessna for getting people all excited about a high-wing, all-metal, Continental O-200-powered LSA," exclaimed John Degonia, sales director for AMD, seller of the Zodiac CH-601. The Wichita giant has confirmed LSA enthusiasm with more than 700 Skycatcher orders, but it will be two years before the first deliveries. This delay is helping AMD take orders for their new Patriot 150. *** "It's a two seat, 46-inch wide 172," added John. The proven design formula gives Georgia-based AMD a high and low wing to address both market interests. CH-601 designer Chris Heintz "put his own spin on it," said Degonia, "making it a shorter takeoff and landing design, and beefing it up to handle the O-200 Continental engine." AMD is also planning an amphib version as "half our inquiries ask about floats," said John. Patriot is priced at $89,900 for a day/night VFR version with a radio and avionics airplane for about $97,000. Deliveries should start before year-end. “We thank Cessna for getting people all excited about a high-wing, all-metal, Continental O-200-powered LSA,” exclaimed John Degonia, sales director for AMD, seller of the Zodiac CH-601. The Wichita giant has confirmed LSA enthusiasm with more than 700 Skycatcher orders, but it will be two years before the first deliveries. This delay is helping AMD take orders for their new Patriot 150. *** “It’s a two seat, 46-inch wide 172,” added John. The proven design formula gives Georgia-based AMD a high and low wing to address both market interests. CH-601 designer Chris Heintz “put his own spin on it,” said Degonia, “making it a shorter takeoff and landing design, and beefing it up to handle the O-200 Continental engine.” AMD is also planning an amphib version as “half our inquiries ask about floats,” said John. Patriot is priced at $89,900 for a day/night VFR version with a radio and avionics airplane for about $97,000. This 25-year-old design has been the focus of several media reports and speculations are whirling around the globe. Click here for a detailed explanation of the company's actions to mitigate the problem. Bad as in-flight break-up accidents are, many opinions often blur the big picture. Last spring NTSB recommended FAA "ground the fleet," so to say. FAA chose further study. When additional CH-601s became involved, media and organizations jumped on the bandwagon. Let's review. *** The focus is on the CH-601XL, of which about 1,500 kits have been sold since its introduction in 1984. Approximately half are complete and flying, said Zenith boss, Sebastien Heintz. *** Of the airplanes that broke up two were fully-built SLSA. One was built by Czech Aircraft Works; the other by AMD. The rest are owner-built kits... essentially one-off airplanes. Comparing one to a factory-built airplane is apples and oranges. *** Some allege Zenith and AMD have ignored the problem, but lots of detailed info on Zenith's website suggests otherwise. Sebastien buttressed this saying, "We believe our effort is an example of an industry doing the right thing. Zenith has not ignored this situation. We stepped up and worked hard to create an 'Upgrade Package' that beefs up the aircraft substantially. We are making the package available to builders for $350, which is below our cost. FAA has recommended the upgrade package, advising owners not to fly until finishing the project." *** Designer Chris Heintz says, "...after thousands of man-hours of investigations, multiple design reviews and an unheard-of amount of testing, the accidents in question still do not share a common cause." But he believes the strategically-added components more than do the job. "With all the changes installed, it will be that much more difficult for a pilot to inadvertently 'over-stress' the aircraft." 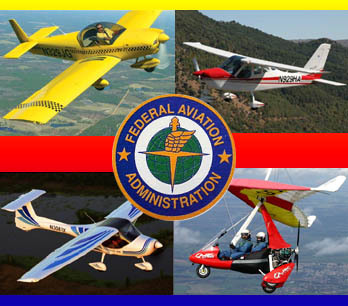 The company summarizes stating, "We strongly believe that implementation of the comprehensive Upgrade Package kit, combined with continuing pilot education and training, as well as an ongoing airworthiness / maintenance program, will put an end to the type of tragic accidents that have been happening and restore this aircraft's reputation as a capable and fun light sport aircraft." Bad as in-flight break-up accidents are, many opinions often blur the big picture. Last spring NTSB recommended FAA “ground the fleet,” so to say. FAA chose further study. When additional CH-601s became involved, media and organizations jumped on the bandwagon. Let’s review. *** The focus is on the CH-601XL, of which about 1,500 kits have been sold since its introduction in 1984. Approximately half are complete and flying, said Zenith boss, Sebastien Heintz. *** Of the airplanes that broke up two were fully-built SLSA. One was built by Czech Aircraft Works; the other by AMD. The rest are owner-built kits… essentially one-off airplanes. Comparing one to a factory-built airplane is apples and oranges. *** Some allege Zenith and AMD have ignored the problem, but lots of detailed info on Zenith’s website suggests otherwise. Sebastien buttressed this saying, “We believe our effort is an example of an industry doing the right thing. A to Z -- as in Aircraft Manufacturing and Design (AMD) to Zenith Aircraft -- covers light aviation with a kit business and a fully-built business. You can also buy several models as plans-only versions. 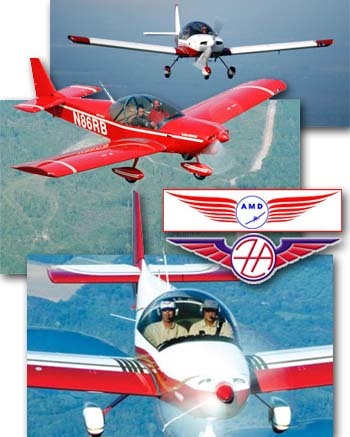 AMD is in the top ten of best sellers among Special Light-Sport Aircraft. Consider the Zenair / Zenith / AMD family of enterprises... Following family patriarch, Canadian Chris Heintz (the designer) are Missouri-based son Sebastien Heintz (the kit supplier) and Georgia-based son Mathieu Heintz (the aircraft producer). Another sibling, Michael Heintz acts as a dealer in California. The Heintzes also have a family of aircraft models. *** Zenith Aircraft Company supplies kits for the 2-seat CH-650 and CH-750 plus the 4-seat CH-801. AMD supplies fully built versions of the 650 and 750 plus the Part 23-certified Alarus. In 2008 the family companies upgraded their top sellers: CH-601 and CH-701. Of these the CH-750 LS is the newest Special LSA on our list. *** Though it visually looks like the CH 701, the 750 LS stands two inches taller and is 11 inches longer with a 2-foot 9-inch greater wingspan, bumping wing area to 144 square feet from 122 on the CH 701. Gross weight rises to the LSA limit of 1,320 pounds making useful load 545 lbs., a quarter more than the 701. Fuel capacity is up to 24 gallons and power comes from a 100-hp Continental O-200. Takeoff remains swift, with even the heavier model clearing the deck in 100 feet or so. Consider the Zenair / Zenith / AMD family of enterprises… Following family patriarch, Canadian Chris Heintz (the designer) are Missouri-based son Sebastien Heintz (the kit supplier) and Georgia-based son Mathieu Heintz (the aircraft producer). Another sibling, Michael Heintz acts as a dealer in California. The Heintzes also have a family of aircraft models. *** Zenith Aircraft Company supplies kits for the 2-seat CH-650 and CH-750 plus the 4-seat CH-801. AMD supplies fully built versions of the 650 and 750 plus the Part 23-certified Alarus. In 2008 the family companies upgraded their top sellers: CH-601 and CH-701. Of these the CH-750 LS is the newest Special LSA on our list. *** Though it visually looks like the CH 701, the 750 LS stands two inches taller and is 11 inches longer with a 2-foot 9-inch greater wingspan, bumping wing area to 144 square feet from 122 on the CH 701. FAA wants to know about each company's Continued Airworthiness System, a part of the ASTM standards which assures owners get the safety info they need. Other topics include quality systems, maintenance manuals, and product conformity to standards and regulations. A final report will be issued about a year from now. At Oshkosh, FAA held a meeting to announce their LSA Assessment Project. The agency that gave birth to Light-Sport Aircraft in the summer of 2004 is now embarking on a fact-finding tour they say will judge the "health of the industry," part of their "aviation safety oversight." Sounds rather ominous, doesn't it? However, officials also stated clearly and repeatedly, "What this assessment and evaluation is not is an individual Light-Sport manufacturer's compliance audit." *** Indeed, Terry Chasteen, the new head LSA man in the Small Aircraft Directorate characterized the day-long visits by two teams of two inspectors as benign. He'll be joined by Tom Gunnarson, former president of LAMA now with the LSA office. The visits started this week at Tecnam's U.S. quarters; AMD, Aircraft Manufacturing and Design; Fantasy Air USA / LSA America; and P&M Aviation USA. *** LAMA, the Light Aircraft Manufacturers Association, sent letters to the community regarding the topics and has offered to counsel any companies being visited. FAA randomly chose 29 businesses to visit, starting in the USA though they didn't rule out using the agency's European office to make calls overseas. At Oshkosh, FAA held a meeting to announce their LSA Assessment Project. The agency that gave birth to Light-Sport Aircraft in the summer of 2004 is now embarking on a fact-finding tour they say will judge the “health of the industry,” part of their “aviation safety oversight.” Sounds rather ominous, doesn’t it? However, officials also stated clearly and repeatedly, “What this assessment and evaluation is not is an individual Light-Sport manufacturer’s compliance audit.” *** Indeed, Terry Chasteen, the new head LSA man in the Small Aircraft Directorate characterized the day-long visits by two teams of two inspectors as benign. He’ll be joined by Tom Gunnarson, former president of LAMA now with the LSA office. The visits started this week at Tecnam’s U.S. quarters; AMD, Aircraft Manufacturing and Design; Fantasy Air USA / LSA America; and P&M Aviation USA. The amateur-built Zodiac 601 XL may be flown by any certificated pilot, including sport pilots if it is built to meet LSA requirements. The AMD Zodiac 601 XL earned S-LSA certification in 2005. The ready-to-fly airplane is built in AMD's plant in Eastman, Georgia. The instrument panel of the AMD 601 XL is designed to accommodate a wide variety of instruments in a traditional configuration. The ready-to-fly airplane is IFR capable, if suitably equipped and flown by a private pilot. The Chris Heintz design uses an all-flying rudder, which is said to promote cleaner airflow across the tail surfaces. Leather seats are an option, as are AM-Safe airbag-equipped seatbelts. A baggage area behind the seat can accommodate up to 40 pounds. The strongest interest in readyto- fly special light-sport aircraft (S-LSA) to date has come from pilots operating Cessna, Piper, Mooney, and other general aviation (GA) aircraft. It is estimated that more than 100,000 currently certificated pilots are looking at their prospects for maintaining an up-to-date second- or third-class FAA medical and considering the LSA option. 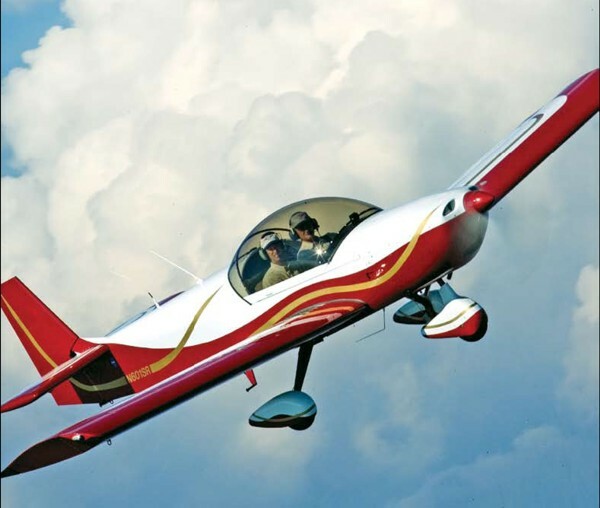 Many are concluding that LSA are worthy airplanes and recognize that downsizing to an LSA two-seater can meet their flying goals, a fact that has driven a good share of LSA sales thus far. Thousands of those pilots have private or higher certificates with instrument ratings. They're accustomed to having a full panel and want one even if flying in instrument meteorological conditions (IMC) isn't in their plans. In fact, flashy dual-screen plus electronic information and navigation panel layouts have proven quite popular in many S-LSA, even though they add tens of thousands of dollars in cost. Think about it; selling a late-model GA plane can net a return that easily exceeds the price of a decked-out S-LSA. With this fact clearly in mind, Aircraft Manufacturing & Development Company (AMD), led by Mathieu Heintz, added an aircraft capable of instrument flight rules (IFR), the Zodiac CH 601 XLi with the "i" representing instrument, to its line. The Zodiac Companies You might be confused. 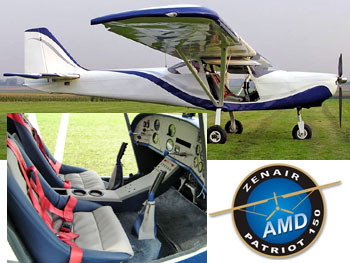 While AMD, based in Eastman, Georgia, builds ready-to-fly Zodiac CH 601 XL SLSA, another company owned by the Heintz family, Zenith Aircraft of Mexico, Missouri, manufactures Zodiac CH 601 XL kits that are built under the experimental amateur-built regulations. Any certificated pilot, including sport pilots, may fly these aircraft. However, sport pilots may fly only those 601 XLs that comply with the LSA definition. Until earlier this year, Czech Aircraft Works also built ready-to-fly 601 XLs; however, that agreement was mutually concluded, and AMD is now the only company producing the S-LSA version of the Zodiac. AMD is also the manufacturer of the Alarus, a Part 23 certificated design that has been in production for 12 years. The company describes it as a "dedicated IFR trainer, of which nine out of 10 are sold in group purchases to flight schools." Some 250 Alarus aircraft have been produced. 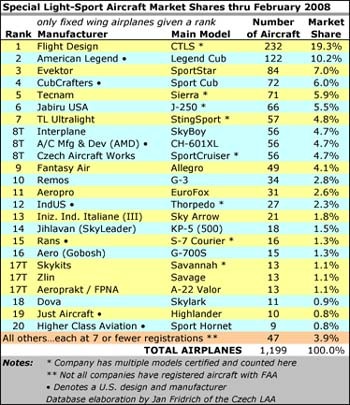 AMD has built about 150 of those, or an average of 20 aircraft a year, while Zenair Ltd. of Canada and JAI of Amman, Jordan, also have built a few similar planes. Because there's a "good deal of interchangeability" of component parts on the Zodiac and Alarus models, Mathieu said all of the LSA models are built using Part 23 production processes. This turns out to be more efficient, as Part 23 quality assurance procedures require that certified and non-certified production parts not become co-mingled. The good news for Zodiac 601 XL/XLi buyers is that the aircraft is built using the same techniques as the more expensive Part 23- certified Alarus models. All AMD Zodiac aircraft conform identically to the design of originator and Heintz family patriarch Chris Heintz. AMD Sales Manager John Degonia acknowledged that some beautiful Zenith kits have been assembled, but they may not identically conform to the original design because a builder is allowed to make modifications. But, depending upon your pilot certificate, your funds available to purchase an airplane, and what your flying goals are, there's a Zodiac 601 XL you truly can have your way! Perfect for Sport Pilots Even in proven designs like the Zodiac CH 601 XL, improvements can and do happen. The Zodiac's refreshed wing design features a slight taper for added cruise speed and crisper roll response. Inside the wing, a shorter vertical spar (which passes through the cabin) permits the seats to be reclined back more, offering a supportive posture that still assures plenty of visibility. I found the long seat bottom restful for my legs, and I imagine a six-hour cross-country flight would be reasonably tolerable. An updated canopy configuration has the bubble-top canopy opening to the front instead of to the side as in older Zodiacs. The new way permits both pilot and passenger to enter simultaneously. Dual gas pistons make raising the large canopy easy. A step on the side of the fuselage allows folks to step onto the wing easily. Once atop the wing, you place one hand on the rear seat support and your other hand on a panel handle just above the radio stack to help lower yourself into the cockpit. Once seated, I noticed the rudder pedals were moved forward to give more legroom than in earlier Zodiacs. Optional deluxe leather seats create a luxurious surrounding in the Zodiac XLi. All versions of the Zodiac S-LSA use dual control sticks with push-totalk buttons and a trim control on the top of the stick. AMD originally planned to offer the Zodiac with the 116-hp Lycoming O-235 engine, but because the 100- hp Continental O-200 is 80 pounds lighter, AMD elected to go with the Continental, the same engine used by the IndUS Aviation Thorpedo, American Legend Cub, and CubCrafters Sport Cub. (Both American Legend and IndUS have also certified S-LSA with the 120-hp Jabiru 3300.) The Continental O-200 has a long history valued by some buyers of LSA. Because many GA pilots have experience with the well-known engine brand, John said their confidence is higher than with Rotax or Jabiru. Also, a legion of mechanics is trained to work on Continentals and parts are in ready supply across the nation. "You can take a Continental engine to any aviation service shop, and they'll know how to handle it," said John. Although Teledyne Technologies, Continental's parent, has annual revenues of $1.5 billion, support for this engine's use in LSA was proven by a visit to AMD from Brian Lewis, president of Teledyne Continental Motors Inc. In their discussions, AMD asked Brian to take some weight off the engine. A lighter starter motor and lighter weight castings for the cylinders shaved off 20 pounds, John said. As further proof of its continued support, Continental displayed its light sport engine (LSE) at EAA Air- Venture Oshkosh 2006. AMD said it worked with Continental to produce this engine. "However, AMD is only installing the FAR 33 certificated version of the engine at this time, as it adds significant value and can be used in IFR flying," said Mathieu. Relaxed Controllability The Zodiac's large bubble canopy offers a panoramic view. Taxiing out for takeoff you have a broad view of any traffic. During steep turns it was easy to confirm the maneuvering area was free of other traffic. In straight and level flight, your view of the world is enormous in every direction except downward. The Zodiac's flaps work electrically; on older kit-built 601s, the response was almost too swift. AMD uses a different flap motor that delivers a response closer to what a Piper pilot might know. Factory pilots say you can lower flaps before slowing into the white arc speed range as long as you don't put full flaps above white arc speeds. All of my landings went well, thanks to the good preflight explanations I received. On the kit-built versions, I had been encouraged not to bring the Zodiac to a high flare as I might touch the tail. Although I prefer to execute full-stall landings, I guarded against that reaction, and the plane settled in beautifully. On the AMD Zodiac, the landing gear is taller, raising the tail and allowing the full-stall touchdowns I prefer. Basically I adopted an attitude-landing technique as a substitute for fullstall touchdowns. Such a method does not allow you to slow dramatically as is useful for soft-field or short field landings. Yet most GA pilots will find Zodiac's behavior well-suited to their experience. Based on conservative initial advice, I used 70 mph on approach and rounded out at about 60 mph. Later I discovered I could use approach speeds down into the 50 mph range, as could anyone with a bit of experience. While doing Dutch roll coordination exercises, I found little rudder was needed; the ailerons can execute turns on their own. The coordination between ailerons and rudder was quite acceptable in the Zodiac, and this may be partially due to the design's full-flying rudder. Some of the turn qualities no doubt also derive from Chris Heintz's use of an all-flying rudder. Much like a stabilator for horizontal tails, the all-flying rudder-which has no fixed surface-is said to promote a cleaner airflow across both sides of the surface. Smoother movement across the surface generates less flow separation on the lower pressure side. The Zodiac's pitch will seem rather sensitive to most GA pilots, although it gave good feedback to movement. In a couple hours, most GA pilots will become accustomed to the effortless feel. This is a common reaction to many LSA varieties I've flown. My trials with steep turns done at 45 degrees to 50 degrees of bank showed stable and steady characteristics. No additional power was needed as is common with most aircraft, and this also explains why little back-stick pressure was needed to maintain the turn at a constant altitude. It reveals the Zodiac as an efficient flying machine. Using 100 mph for good over-thenose visibility, the Zodiac's climb rate hit 900 fpm with two on board at something less than full gross weight. With a finer technique, climbs can reach 1,000 fpm. At a 130 mph cruise, the Zodiac felt faster than the speed indicated, but numbers don't relate perfectly to the sensation of speed. Perhaps that massive canopy imparts a sense of motion. The Plexiglas canopy also had good optical qualities, appearing distortion-free to my eyes. Full stalls came at 40 mph indicated (44 mph true airspeed, said AMD) when flaps are fully deployed. Zodiac stalls exhibit benign qualities with no tendency to fall off on a wing. After discovering the stall qualities, I believe approaches can be done at 55 mph or so, which would shorten overall landing distances significantly. The Zodiac's adverse yaw is modest. I found only a slight hesitation before initiating a normal coordinated turn. I saw no tendency to turn in the opposite direction in any adverse yaw trials. Such good behavior further burnishes the Zodiac's image for GA pilots. Overall, the Zodiac felt solid. Zenith reports the design is stressed for 6g's plus or minus; this is a figure that exceeds nearly every GA airplane manufactured today. That doesn't mean you should reconsider learning how to do outside loops if you buy a Zodiac, but you'll have a tough machine. Comparing the AMD Zodiac to the Zenith Aircraft's kit version, John said the AMD model is more apt to conform to traditional expectations. However, he said the kit is so easily built that it's hard to cause it to not also conform. He repeated earlier comments that the design's 21-year history is long; it is highly reliable and only loses that quality when homebuilders modify the design. On IFR Approach In a recent press release, AMD announced it was expanding the capabilities of its ready-to-fly Zodiac to include night and IFR flying. The equipment added to meet the FAA requirements for those activities include heated pitot/static elements, alternate static source, lightning protection including lightning deflectors and lightning grounding, backup electric system, TSO gyros, pilot de-icing window, wingtip strobes, wingtip and tail navigation lights, taxi and landing lights, and cabin lights. This equipment meets or exceeds FAR Part 23 requirements as well as FAR 91.205. The airframe meets FAR 23.867 (electrical bonding and protection against lightning and static electricity) and FAR 23.954 (fuel system lightning protection). AMD also provides an analog TSO six-pack of IFR instruments in an effort to keep a lid on the price of the instrument-capable aircraft. It also offers a glass instrument panel, but these panels are not currently approved for IFR flying. Mathieu said, "Because there are no ASTM guidelines for IFR certification of LSA aircraft at this time, we used the requirements set out in the FARs for IFR certification with the biggest issue being lightning protection." (ASTM is presently working on night/IFR equipment standards for LSA flown by properly rated pilots). EAA offers this advice to members interested in flying LSA in instrument conditions: "Some S-LSA may be equipped for night and IFR operation; be sure to tell the manufacturer/ dealer if your intent is to operate the aircraft under those conditions. Make sure you have the proper ratings (private pilot or higher with instrument rating) and the engine is approved for night flight." To summarize, an LSA that is properly equipped may be operated for instrument and night flying if the pilot is properly certificated and rated for such flight. However, sport pilots are approved for day/VFR operations only. Similarly, this restriction also applies to an instrument-rated pilot exercising the privileges of a sport pilot-that is, using a valid driver's license as evidence of medical fitness. AMD Sales Manager, John Degonia believes the instrument-capable XLi will hold its value better than an LSA that does not have such capabilities. 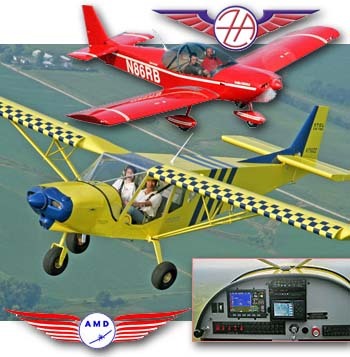 AMD also figures flying clubs may want to use the XLi as an inexpensive instrument-training airplane, considering its added versatility, as a means to attract more members. Ready-to-Go Zodiac? In late October, John reported a 90- day backlog on deliveries. "That's about where we want it," he said. He reported that about 25 AMD Zodiacs are currently flying; he expects to have 35 airborne by the end of 2006. "More than 1,000 Zodiac aircraft are flying throughout the world today," John said proudly. Currently AMD is building three planes a month; it expects to increase that to five per month in 2007. John said the company has built up the production pace gradually. AMD has about 20 employees and operates out of a 28,000-squarefoot hangar at the Heart of Georgia Regional Airport. The fall 2006 price of the IFR-capable AMD Zodiac CH 601 XLi is $94,900, including the 100-hp Continental O- 200A engine (FAR 33 certified) and a Sensenich two-blade propeller. The standard AMD Zodiac CH 601 XL starts at $79,900 and comes with a number of standard items such as wingtip strobe lights, tail light, locking canopy, dual brakes, emergency locator transmitter, elevator and aileron electric trim, and Dynon engine monitoring system (EMS). "Also, there is no shipping or handling costs because the aircraft is manufactured in the USA," added Mathieu. At less than $80,000 and without added transport cost, the Zodiac compares well with all but the lowest-cost imported LSA. John feels some importers of European LSA aren't as experienced with the designs they are selling as AMD is with its model; John himself has more than 1,000 hours in a Zodiac. Built in America with U.S. labor and other costs, AMD can be competitive with imported and middleman- handled LSA. But, some AMD components keep the company working hard to contain costs. For example, one component affecting AMD's price is the $25,000 FAR 33 certified Continental engine, a substantial price premium over the non-certified Rotax and Jabiru engines. Rotax does offer a certified version for an additional $5,000; Jabiru is not presently offering an FAA-certified version. For GA pilots, a Zodiac CH 601 XL or XLi is a conventional-looking light aircraft built with components they know. It exhibits handsome performance for the class, cooperative handling, and room for two to travel. At 130 mph, you and a friend could cover 600 miles in a day's flying in good comfort with an enormous view. In a crowded field of sharp S-LSA, the Zodiac compares favorably. For a fraction of the cost of a new Piper or Cessna, the Zodiac aircraft deserves a close inspection. "Y'all come down to Georgia and go for a flight," John invited. The all-American airplane and the all- American engine should find a steady following from those wary of foreign purchases and product support. Notes: 1 Empty weight, useful load, and payload are for the basic VFR Zodiac 601 XL model. Max demonstrated crosswind component: 23 mph. The strongest interest in readyto- fly special light-sport aircraft (S-LSA) to date has come from pilots operating Cessna, Piper, Mooney, and other general aviation (GA) aircraft. It is estimated that more than 100,000 currently certificated pilots are looking at their prospects for maintaining an up-to-date second- or third-class FAA medical and considering the LSA option. Many are concluding that LSA are worthy airplanes and recognize that downsizing to an LSA two-seater can meet their flying goals, a fact that has driven a good share of LSA sales thus far. Thousands of those pilots have private or higher certificates with instrument ratings. They’re accustomed to having a full panel and want one even if flying in instrument meteorological conditions (IMC) isn’t in their plans. In fact, flashy dual-screen plus electronic information and navigation panel layouts have proven quite popular in many S-LSA, even though they add tens of thousands of dollars in cost. Factory pilot and Sales Director John Degonia flies the AMD CH-601 XL near their Georgia plant. To view video of the seat belt airbags and read owner testimonials click here. For years BRS Parachutes sold emergency systems to ultralight pilots. Then along came Cirrus Design, who installed the CAPS (Cirrus Airframe Parachute System) on their SR-20 and SR-22 models as standard equipment. It was a bold and unproven tactic, but today, the SR-22 is the best selling general aviation aircraft in the world. Did the parachute help that success? "Absolutely," says Cirrus president, Alan Klapmeier. 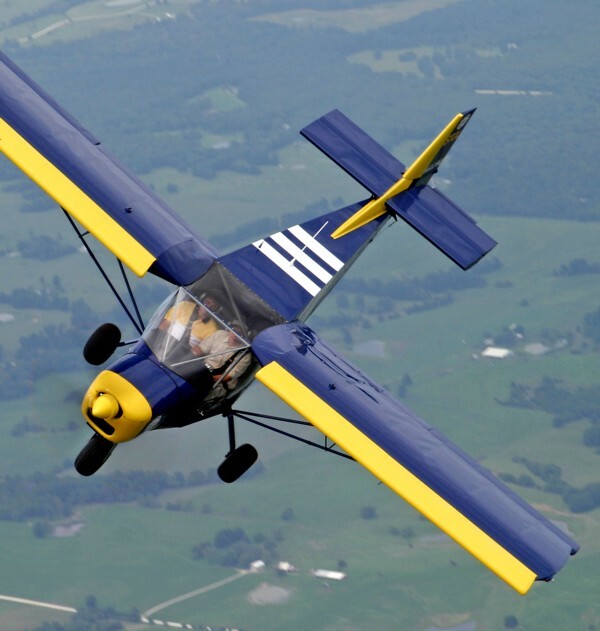 Light-Sport Aircraft producers commonly offer parachute systems: Flight Design CT uses a BRS 1350 HS as standard equipment; TL's StingSport comes with Galaxy. *** Now Aircraft Manufacturing and Development (AMD) has added the BRS to a long list of available safety features: Amsafe seat belt airbags, lightning protection (on the IFR certified CH-601 XLi model), Tetra foam seat cushions (to absorb "G" loads on hard touchdowns), and a FAR 33 certified aircraft engine, the Continental 0-200. 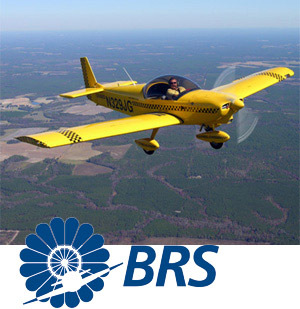 The Eastman, Georgia-based LSA producer certified a BRS-equipped airplane at the end of January 2007. For years BRS Parachutes sold emergency systems to ultralight pilots. Then along came Cirrus Design, who installed the CAPS (Cirrus Airframe Parachute System) on their SR-20 and SR-22 models as standard equipment. It was a bold and unproven tactic, but today, the SR-22 is the best selling general aviation aircraft in the world. Did the parachute help that success? “Absolutely,” says Cirrus president, Alan Klapmeier. Light-Sport Aircraft producers commonly offer parachute systems: Flight Design CT uses a BRS 1350 HS as standard equipment; TL’s StingSport comes with Galaxy. *** Now Aircraft Manufacturing and Development (AMD) has added the BRS to a long list of available safety features: Amsafe seat belt airbags, lightning protection (on the IFR certified CH-601 XLi model), Tetra foam seat cushions (to absorb “G” loads on hard touchdowns), and a FAR 33 certified aircraft engine, the Continental 0-200. With all the basic instruments you need, AMD's CH 601 XL lists for $75,900 though you may be tempted with a long list of options. Read my Report on Zenith's 601. The newest Special Light-Sport Aircraft to win approval will help the industry close out a spectacular year. In 2005, starting only by mid-April, 23 designs have won their airworthiness certificate under the ASTM Consensus Standards. For the year, #23 goes to Aircraft Manufacturing and Development of Eastman, Georgia. The AMD Zodiac CH 601 XL is powered by the Continental engine and all of it is built in the USA. American A&P mechanics are very familiar with the O-200 engine, which assures availability of service across the country. Since the southeastern U.S. company also builds the FAA Part 23 certified Alarus four seater, they are assembling the 601 to that high standard (such process meets the ASTM standards). The all-metal design flies conventionally and has won praise for its handling and performance. The CH 601 is one of several designs by Chris Heintz, father of Mathieu Heintz, president of AMD.